PU stainless steel tube, PU steel hose, PU screw pipe, PU telescopic tube, PU spring tube, PU folder tube, PU braided tube , PU reticulated pipe, PU single tube, PU straight tube. PU plastic pipe use: for industrial, agriculture, food, medicine, civil engineering, fisheries, aquaculture, garden irrigation and other areas of general working pressure of liquid delivery. Such as: pneumatic pipe, hydraulic pipe, garden water pipes, oil, water pipes, oil exploration pipe, sandblasting pipe, peristaltic pump hose. PU plastic pipe characteristics: the use of TPU materials produced by the hose with anti-tensile, tension, tear strength, wear resistance, bending resistance, resistance to penetration, low temperature resistance, hydrolysis and other properties, and has a good Of resilience and long service life. 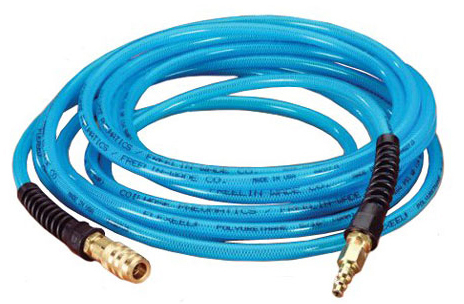 This product does not contain plasticizer, non-toxic and tasteless, is a high-performance environmentally friendly hose. Is the best alternative to PVC, rubber hose.